Replacement of the fired worker with someone who is younger (even if that person is also over 40). 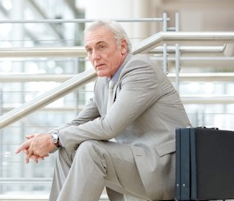 Suggestions that an older employee is getting too old to do the job and should consider retirement. Comments indicating hostility toward older people generally (employees, customers, vendors, or others). Different treatment of younger workers in similar situations (for example, giving younger employees lower sales or production quotas, higher pay, or more opportunities for training and promotion). Age-related comments are generally most helpful when they are made by someone who supervises the older employee, or when such a supervisor knows about them and doesn’t take action to make them stop.